With the plethora of options to choose from when it comes to types, designs & brands, buying a refrigerator for your home can often become an overwhelming experience. To help you out, we have narrowed down on top 10 brands for your reference. Check out our pick within each brand as well. Keeping in mind the average requirement for a family of four, we have chosen refrigerators with a capacity of 250 to 450 litres. Single Door Refrigerator: These were the earliest and still have a huge fan following considering their affordability factor. They remain to be the most basic kind with a single door.The freezer is within the refrigerator and there is no special section for it. They do not have the feature of automatic defrosting and that remains their only drawback. Double Door Refrigerator: With a separate section for the freezer, they are bigger in size than the single door refrigerators. The interiors are designed to hold bottles of different sizes and shapes. Triple Door Refrigerator: Here you will have one compartment for the refrigerator, one for the vegetables and one for the freezer. The main advantage of having a triple door is that there is zero odour mixing. Side by Side Refrigerator: With a chic look they resemble a cupboard and some of them have an automatic water dispensing system in the front. Bottom Mounted Refrigerator: Smartly designed, here the freezer section is at the bottom as it is not used as much as the refrigerator section so one doesn’t need to bend to remove veggies. A leading German multinational engineering and electronics company, Bosch has 18 manufacturing sites, and seven development and application centers in India. In fact it has the largest development center outside Germany, for end to end engineering and technology solutions in India. Without doubt their home appliances are one of the best available in the Indian market. Bosch refrigerators use the VitaFresh technology that keeps fruits and vegetables fresh up to two times longer. The Bosch Frost Free Side by Side Refrigerator has a massive 661 L capacity, and spacious interiors, with a BigBox specially designed to hold large-size food items like pizzas. The anti-fingerprint coating on the fridge’s doors prevent them from unsightly marks. One of the most trusted names when it comes to refrigerators, Godrej has been the first refrigerator brand most families in India owned, going back to the days the trend of owning a refrigerator began in the country. The brand has over the years adapted to the changing needs of its patrons and introduced design friendly refrigerators with all modern features. 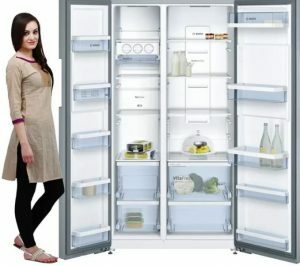 Their range of Godrej Eon Refrigerators have innovative solutions like Cool Shower Technology, Poly Bag Suspenders in the freezer, Anti-B technology, 5 star energy rating, ZOP technology and 100 per cent CFC free refrigerators. Godrej Edge-Digi offers automatic defrost in a direct-cool refrigerator. 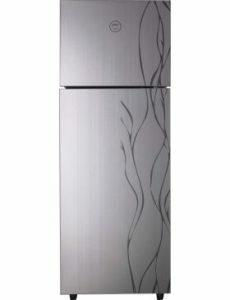 Check out the Godrej RT EON 343 SG 2.4 Mercury refrigerator which is attractively designed in white with silver/grey highlights. With three toughened glass shelves, it has built-in air vents which ensure all round cooling. 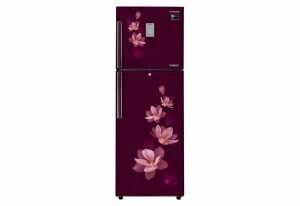 Click here to get offers on electronics, home appliances and refrigerators from Godrej on GreatBuyz. Samsung has been capturing the appliances market in India and their range of refrigerators can leave you spoilt for choice. From options like French Door to Bottom Mounted feature, they have something for everyone. Smarty designed, Samsung refrigerators are designed to suit the ambiance of a chic modern homes. Check out this RT34M3954R7 Top Mount Freezer with Solar Connect* 3211 which comes with digital inverter technology, convertible freezer and all round cooling. The refrigerator comes with a 10 year warranty on the compressor. 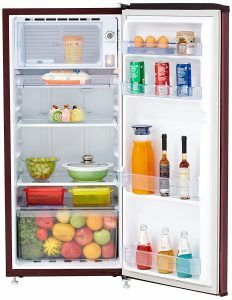 A Cool Pack in the freezer and Cool Wall in the fridge to keep food items chilled for up to 12 hours during power cut. The fast cooling and freezing delivers a rapid cooling performance to preserve food’s freshness. At the touch of a button its Power Cool chills food in the fridge 31 per cent faster and Power Freeze makes the freezer 31 per cent faster. Click here to get offers on electronics, home appliances, mobiles and refrigerators from Samsung on GreatBuyz. Check out the LG 420 L 4 Star Frost Free Double Door Refrigerator with inverter compressor. 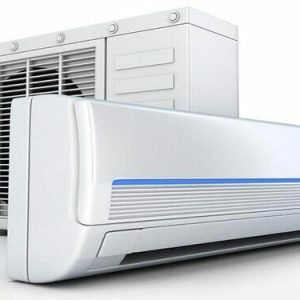 One of the most advanced and energy efficient compressor that saves energy by adjusting cooling power in response to the amount of food you load in the refrigerator, this refrigerator provides efficient energy consumption. Its new cooling system ensures even temperature throughout the refrigerator. Its vents at the back make sure every corner of the refrigerator is cooled evenly. 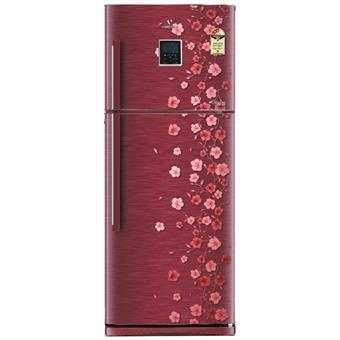 Click here to get offers on electronics, home appliances and refrigerators from LG on GreatBuyz. 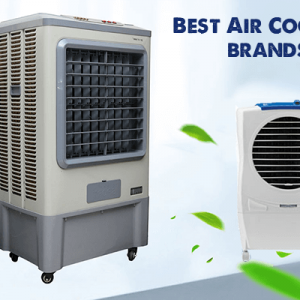 SHOP NOW Haier is known for introducing innovative products in the country and is best remembered for its revolutionary Bottom Mount Refrigerators, launched for the first time in India. Haier also introduced a LIVE chat buddy – Dr. Fido to get the queries answered instantly on the official website of Haier. Dr. Fido comes as a handy service where Haier provides one-to-one chat service to overcome little issues that the customers might come across after product purchase. 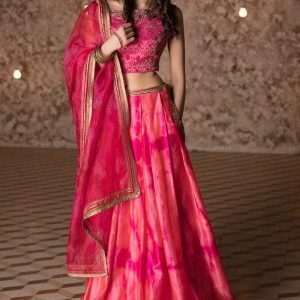 The brand has established a wide dealer network with presence in more than 6500 outlets all over the country, which is backed by a strong service and after sales service network. Check out Haier’s range of Bottom Mounted refrigerators which enable you to use your refrigerator portion and reduce bending up to 90 per cent. It comes with one hour icing technology. The vegetable section of BMR is spacious and helps keeps veggies fresh for longer. It also comes with a separate fruit box. 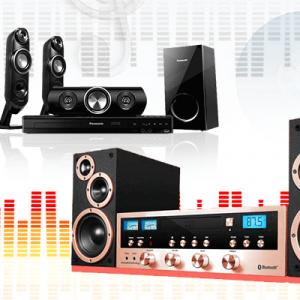 Click here to get offers on electronics, home appliances and refrigerators from Haier on GreatBuyz. Better known for its air conditioners, Voltas has a range of residential and commercial refrigerators that offer several advanced features. 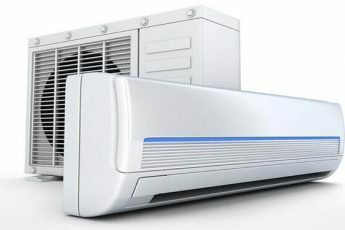 Their refrigerators use NeoFrost Dual Cooling, the state-of-the-art technology that uses two separate circuits to blow air into the freezer and refrigerator compartments ensuring that cool air is distributed evenly. Its ProSmart Inverter Compressor provides faster cooling with less energy, allowing food to stay fresh for much longer while keeping your electricity bills to a minimum. The Ion Guard neutralizes the positive ions by creating negative ions inside the refrigerator, and killing the bacteria, viruses and particles that cause bad odours. Thus the food stays fresh and healthy longer. 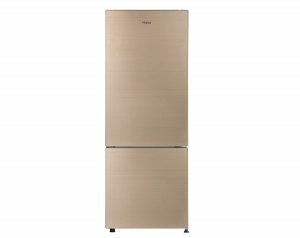 Check out the Voltas Beko RFF253I 230 L Inverter 3 Star Frost Free Double Door Refrigerator with a storage capacity of 230L and an engineered design for optimum level storage. Moreover, it is a great refrigerator with quick cooling and ensures durability combined with ample storage space. Follow Tata Cliq on Streamz of GreatBuyz to stay updated on their latest news, sales and offers and more. 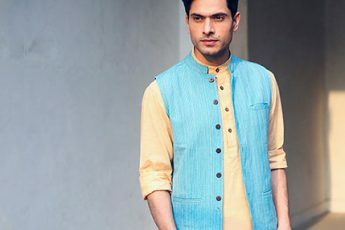 Get coupons of Tata Cliq on GreatBuyz for your online shopping. Whirlpool’s array of fridges including Single Door, Double Door, Multi Door and FDBM come with innovative technologies like the 6th Sense IntelliFresh Technology, 6th SenseDeepFreeze Technology, 6th SENSE ActiveFresh Technology etc. 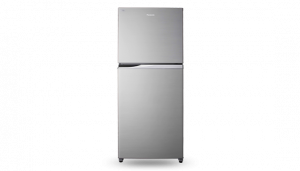 Check out their Whirlpool 190 L 3 Star Direct Cool Single Door Refrigerator that comes with a 3-star rating and is probably the most economical one in the category. It has a 190L capacity and has toughened glass shelfs. Click here to get offers on electronics, home appliances and refrigerators from Whirlpool on GreatBuyz. Panasonic has a wide range of bottom freezer, double door, top freezer refrigerator door, frost free and multi door refrigerators on offer. Panasonic Direct Cool Refrigerators are considered to be one of the best refrigerators in India with Japanese technology & international designs with cool lock technology and 5 Star Ratings. Check out their NRBD418VSX1 2-Door Top Freezer Refrigerator that comes in a graceful silver finish and an intelligent eco sensor. The moisture retaining fresh vegetable case is perfect to keep your veggies fresh for a longer time. The removable ice box helps you adjust the space in the freezer based on your needs. The glass shelves can be folded/removed to adjust the space and they can hold weight up to 100 kgs! 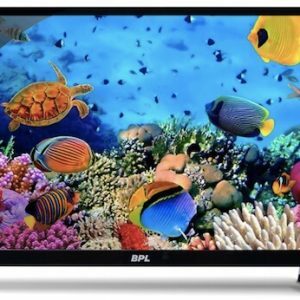 Click here to get offers on electronics, home appliances and refrigerators from Panasonic on GreatBuyz. Experience the new generation of refrigerators and freezers from Siemens. Innovative freshness systems like hydroFresh Box and multi-airflow system ensure not just the right temperature, but also the right humidity. This keeps sensitive food like fruits and vegetables, fish and meat fresh longer. 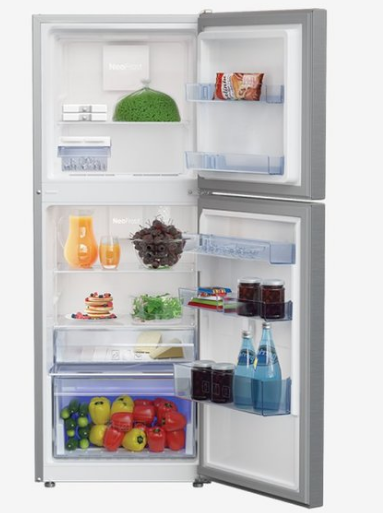 Siemens refrigerators and freezers let you use space to its full potential. The flexible easyLift door racks are ideal for everything from small jars to big bottles. They are height-adjustable so that you can fit them to the item size. With varioShelf you can vary the shelf height in your refrigerator, and can create even more storage space. The practical easyAccess glass shelf pulls out to the middle so you have a good overview of everything. Check out their iQ500 HyperFresh, BEE 401 litre capacity, Top Freezer Refrigerator with Stainless Steel fingerprint resistant door finish. The adjustable shelves increase the utility of the refrigerator making it apt to store left over food each day. Euro Series refrigerators from Electrolux come with premium finish, intelligent cooling, convenience and saving. The additional vents behind the ice tray zone help freeze water at a faster rate and the cool pack delays the rise in temperature during long power cuts by continuing to supply reserve cold air, thus preventing food from spoiling. The unique fridge lightning system uses a wave treatment that evenly distributes light to help retain the vitamin content in fruits and vegetables. There is extra space at the bottom of the refrigerator for items that do not need cooling – like onions/potatoes. 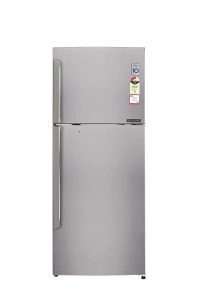 Check out their Electrolux 370 L Frost Free Triple Door Refrigerator (Slate Silver, EME3700MG) that comes with a door alarm, deodorizer and side cooling features amongst a host of others. Click here to get offers on electronics, home appliances and refrigerators from Electrolux on GreatBuyz. 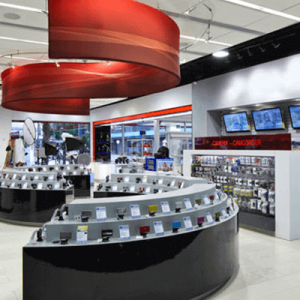 And if you want to see multiple brands under one roof, or compare brands and prices, you can consider shopping for these refrigerators and multi-brand appliance stores like Croma, Vijay Sales, Reliance Digital, etc. Enjoy keeping your food fresh and cool!